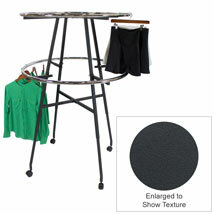 Heavy-duty rolling clothing rack in a modern textured finish! 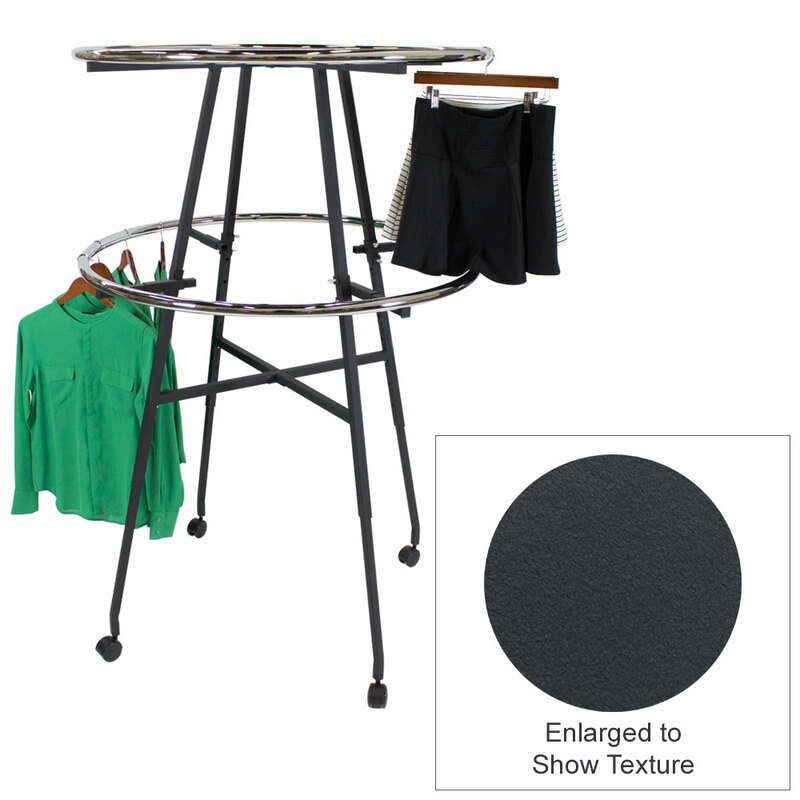 Our 42 inch round clothing rack has a matte textured finish and topped with two chrome round tube hangrails. It`s the ideal rolling rack for displaying apparel merchandise. These retail clothing racks set up in minutes with push buttons and folds for easy storage. 9 adjustable settings allow height to adjust from 48 in. to 72 in. Added casters for mobility. For additional pieces, we invite you to spend some time to browse our complete range of retail clothing racks for sale at Specialty Store Services now.